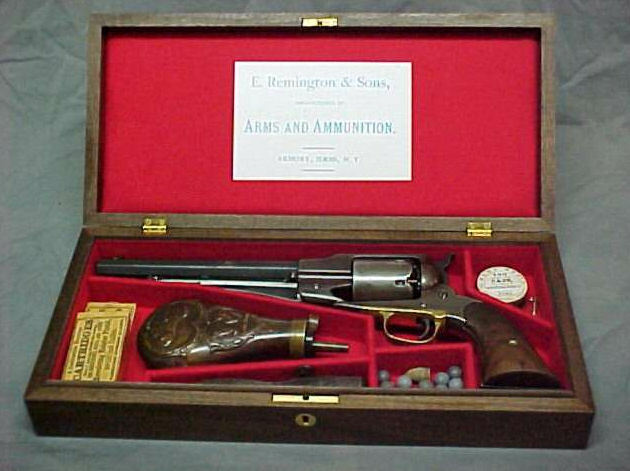 I just received my case for a Remington New Model Army revolver and I am very happy with it! The case is perfect and the craftsmanship is excellent! All of the wood joints are perfectly tight and the lining is beautifully done! It is made exactly like an original Remington case and everything fits in the compartments perfectly. This case is well worth the money and I recommend these to anyone who needs a case for their original revolver or to proudly display a modern replica. Thank you!! !